Things to do in Jamaica - Sports! In case you get a bit antsy from soaking up all the warmth on the beach, there are other things to do in Jamaica. Like sports. Whether you're a participant or a spectator, there's no shortage of sporting activities in Jamaica. Here are some ideas. The Treasure Beach Off Road Triathlon takes place each year in Treasure Beach, St. Elizabeth. It's usually held on the last Sunday in April. Swim in Great Bay, bike from Great Bay to Newell, and of course, you've got to run! Call 876-965-0748. The Sunset 5k Run is also held in Treasure Beach, on the day before the Triathlon, the last Saturday in April. Call Sunset Resort at 876-965-0143. The High Mountain Coffee 10k Run - last Sunday in January. Approximately 6km uphill and 4km downhill in the hills of Williamsfield, Manchester. Confirm by calling 876-963-4211 or visiting www.highmountaincoffee10k.com closer to the scheduled date. An increasingly popular sporting activity in Jamaica is the Reggae Marathon held in Negril every December. This event draws participants from all over the world. (Personally, I think you have to be either really very driven, or slightly crazy to try a marathon, but I come from a rich tradition of sporting spectators, so don't listen to me!) See www.reggaemarathon.com. Even if you're the spectator type like me, an unforgettable event is the National Boys and Girls Athletic Championships (Champs). If you want to know how seriously Jamaica takes athletics, and why we produce world class athletes, this event will open your eyes. Imagine 30,000 spectators in the National Stadium in a charged setting of old school loyalty, rivalry, music and revelry. An incredible atmosphere which is duplicated nowhere else in the world. 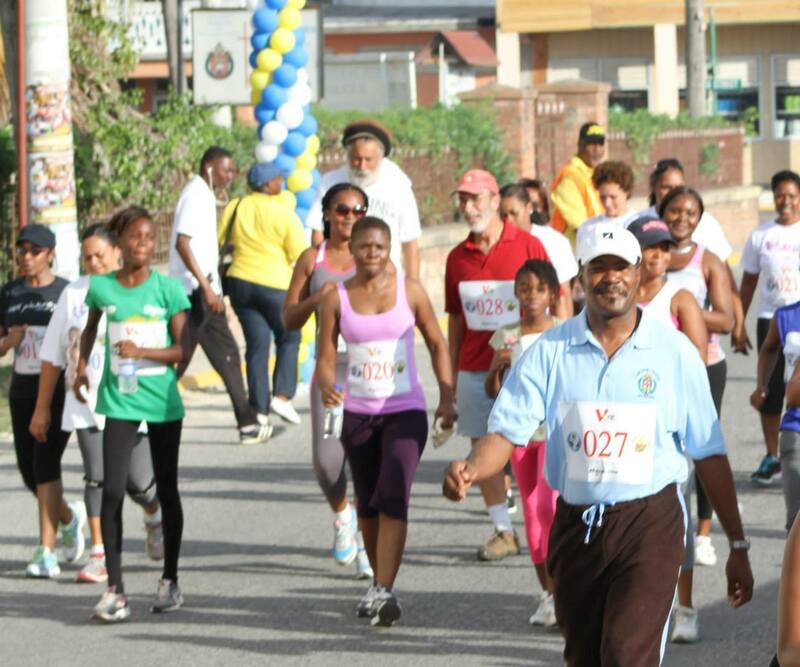 Champs has been held in Kingston every year, the week before Easter for over 100 years. This is a favourite pastime for the menfolk in my family. My son never ventures far from home without his hook and line - after all, you never know where you'll find the latest, greatest fishing spot! Once you're staying near the beach, you can usually find a good place to go fishing that's within walking distance. Here's my brother with his proudest catch. I promised him not to reveal his favourite fishing hideaway, so I can only tell you that it's somewhere in central St. Elizabeth. In places like Black River, you have both the seaside and the river, which has mullet, and some huge tarpon and snook. If you're really serious, you can hire a boat to take you to sea, or up the river. My friend Lloydy from Irie Safari caught a 70lb tarpon on the Black River that took him 2 hours to land! There are also fishing tournaments at various locations across Jamaica from time to time. The Hook 'n Line Tournament is held in Treasure Beach each year on the weekend closest to October 19 (National Heroes Day). Residents in the community are allowed to enter the tournament, but spectators are most welcome to drink a Red Stripe and watch the action. The Falmouth Marlin Tournament takes place in September in Falmouth, Trelawny. "This lost river has had very little if any motorized boat traffic for a long time and lies in the heart of the Lower morass. Our kayak adventure allows the intrepid canoeist or adventurous nature lover to experience another side of paradise up close and personal. So, whether you are an expert kayaker, a photographer or just want to paddle around and enjoy nature. Have fun!" Contact (876) 965-2211 or (876) 472-4644. Go on a bicycle tour, or rent your own bike and do some exploring on your own. If you decide to do it on your own, please get some local advice on the safest routes. Don't get so carried away in the beauty of the country that you forget to be as sensible as you would be at home! See Blue Mountain Bicycle Tours. We don't have bicycle trails here, so look out for reckless drivers, of which we have an adundance. Bikes and bicycles are widely available for rent in Negril and Montego Bay. 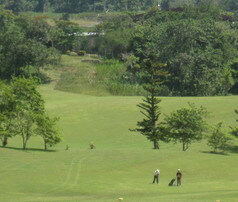 Jamaica has more golf courses than any other island in the Caribbean. These are some of the better known golf courses. All are 18 hole courses, except for Manchester Club which has 9 holes, 18 tees. Many are located on resort properties, but allow outside visitors. The best time for sailing in Jamaica is January to March. The Montego bay Yacht Club offers sailing and fishing charters, and hosts a regatta at Easter each year. For details call 876-979-8038. The Royal Jamaica Yacht Club (in Kingston) has regattas in Spring and Summer. Call 876-924-8685/6 for more information. If you have in interest in paragliding in St. Elizabeth and other parts of Jamaica - See Paraglidng Jamaica. If you're staying in a small community such as Black River or Treasure Beach, there's likely to be a local football (soccer) game going on nearby that you can watch or take part in. That's regular exercise for Jamaican guys, ladies not so much. Many of the hotels in the larger tourist areas have tennis courts. Manchester Club in Mandeville (about an hour from Black River and Treasure Beach) has both tennis and squash courts.